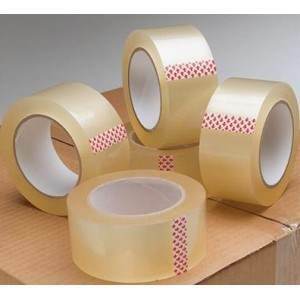 We carry a wide range of acrylic tapes for different packaging applications and budgets. These tapes perform in a wide range of temperatures (32 degrees - 120 degrees), is crystal clear to not interfere with exterior markings and labels, and instantly bonds to corrugated boxes and surfaces. Our tape comes in either hand grade for manual application or machine for machines.